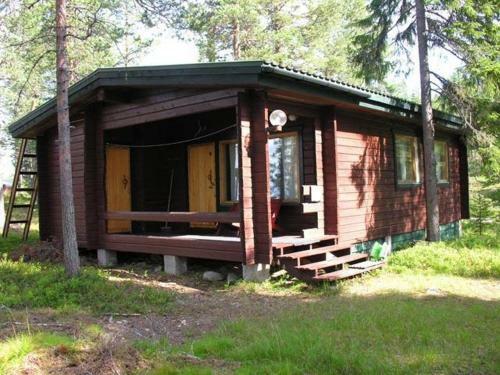 Finland holiday cottage. Situated right next to the slopes in Ruka Ski Resort, this cottage offers a private sauna, fully equipped kitchen and a brick fireplace. Kuusamo Airport is a 30-minute drive away. A seating area, TV and CD player are found in the living room at Ruka Ski Cottage Kelokaltio. Kitchen facilities include a stove, fridge and dishwasher. The cottage has a bathroom with shower and hairdryer. Guests at Cottage Kelokaltio can relax on the covered terrace or go cross-country skiing in the surrounding area. Ski rental is available on site. Popular activities in the area include ice-fishing and reindeer and husky safaris. Several restaurants are available in central Ruka. Kuusamo town centre is a 30-minute drive away.